Volvo has released a position statement that requires pre- and post-repair scanning on all model years 1996 and beyond. The statement noted that even repairs such as a windshield or even just disconnecting the battery would prompt a diagnostics scan. By requiring model year 1996 and above, Volvo basically requires every car with an OBDII port to be scanned because even though the ’90s didn’t have all of the fancy sensors we do today, they still might have more technology than the technician thinks. Volvo’s latest technology incorporates numerous control modules, sensors, and camera systems that support an array of vehicle functions. These components are an integral part of a vehicle’s operational systems. In a collision, these sensors could be damaged in ways that are not visually evident and so they must be inspected and evaluated – regardless of whether the vehicle displays a failure via the instrument cluster. This will help ensure that any possible lack of functionality will be discovered and resolved. As of model year 1996 (OBDII), vehicles involved in a collision repair should have all systems evaluated. Pre-repair scanning is required prior to performing any work on the vehicle to reveal any malfunctions or failures of components that must be addressed during the repairs. Post-repair scanning and diagnosis of the vehicle is required to make sure the vehicle’s safety and autonomous systems are functioning correctly. Any safety or autonomous systems that may have activated during a collision may require initialization, calibration or replacement. Volvo genuine parts are designed and manufactured to exacting specifications to help maximize safety, performance and reliability. All Volvo exterior paneling, glass, unibody components, drivetrain, electronics, suspension SRS and steering components are essential to safe control of the vehicle. These parts are designed to work with other vehicle components to help keep occupants safe in an accident. In the event of a collision, Volvo Car USA recommends that all repairs be performed by a Volvo Certified Technician through a Volvo Certified Collision Facility using only genuine Volvo Car parts. Always refer to Volvo Information and Diagnostics for Aftersales (VIDA) for the latest technical guidelines. To download a copy of the position statement, click here. 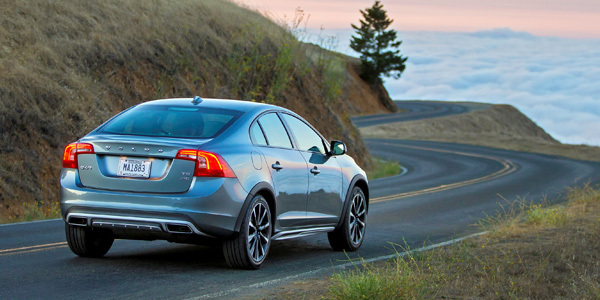 To see the full list of Volvo position statements, click here.